Investing in gold, silver, platinum or palladium coins or bullion outright in an all-cash purchase, and have your purchase delivered to you via registered and insured U.S. Mail, Federal Express or by Brinks transportation. 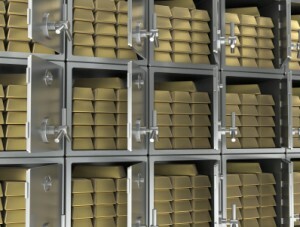 Or, you can have your purchase stored for you at one of several secure and independent banks or depositories in the U.S. 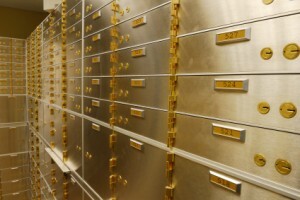 When you buy coins or bullion and utilize a storage account, you retain ownership of the precious metals, and your precious metals are insured by the bank or storage facility. Or, you can open or rollover an existing IRA into an IBX Precious Metals IRA and enjoy all the tax benefits of a Traditional, Roth or SEP IRA, while safeguarding your IRA and your golden years with tangible precious metals of the highest purity. Whichever way you choose to purchase, buying precious metals from IBX is quick, easy and secure. Once you have decided on what and how much to purchase, your Precious Metals Specialist will assist you in executing your order over the phone, and your purchase and price will be confirmed on a tape recorded line after your acknowledgment. A written confirmation of your purchase will then be mailed to you. Your payment for your precious metals must be initiated on the day of purchase by bank wire. Other forms of payment, when acceptable, require a hold-funds period to assure good payment. Upon good payment, your order will be processed for delivery to you personally, or to a bank or depository for storage in the case of an Orion Account purchase. If your purchase is through a company or trust, or delivery is to a third party, you are required to provide executed legal documents authorizing you to make such purchase. When your purchase is made for delivery to a bank or depository, you will be sent a Commodity Transfer Notice indicating receipt of your metals and that they are being held on your behalf. Personal delivery is made by the USPS registered and insured mail, Federal Express, or by Brink’s transportation. Normally delivery is within 14 days of purchase, but it can vary. Your Precious Metals Specialist can supply a tracking number once your metals are shipped. As a result of limitations on weight and value, your order may be shipped to you in more than one package and arrive on different days. When your metals arrive at your home or bank, a valid signature will be required in order to release the package. Selling your precious metals back to IBX is just as easy, and can be accomplished right over the phone. For an example of how your preferred transaction would work, please speak to an IBX Precious Metals Specialist by calling 1-800-485-2225.